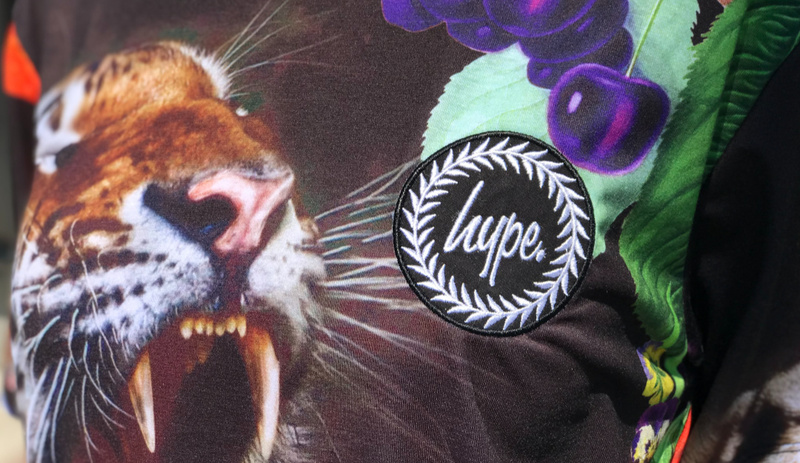 Just Hype wants to bring out our animal instinct today. 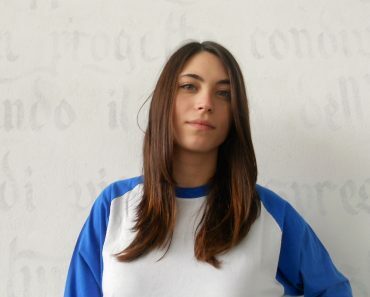 The brand from UK founded by Liam Green and Bav Samani in 2011 can be all you want it to be at one condition: it has to be something with a strong hype around. Its basic concept keeps on being effective as most of the objects of desires in apparel are extremely rare to find and even more expensive. Hype comes as a savior for a whole world of fans that love to get fresh when they dress, minus the availability problems. Like this wasn’t enough Hype has a correct quality / price rate so don’t worry: no load needed to buy this men’s t-shirt. 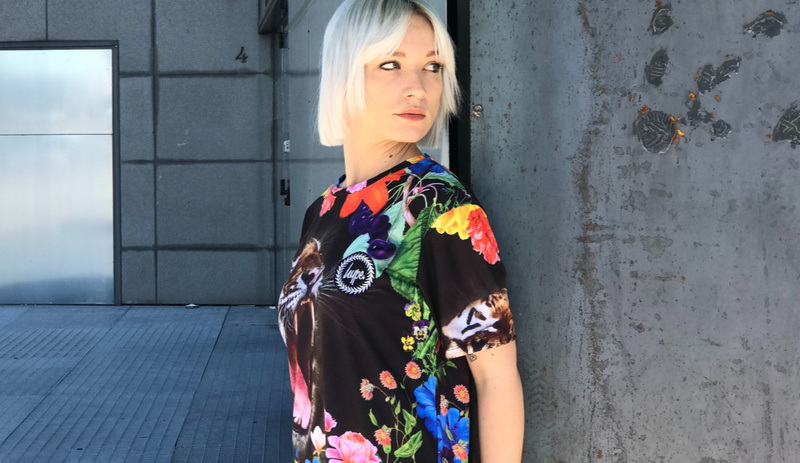 Here worn by Evelyn V to show its look even from a girl perspective, Tiger Flowers Men’s t-shirt is the ultimate party tee but… to limit it to parties would be a waste. Once again the secret to wear properly this tee is called mix and match. Wear it with a men’s blazer or juxtaposing another allover pattern, for an overcharged result. There are no limits to exploit the potential of this item. 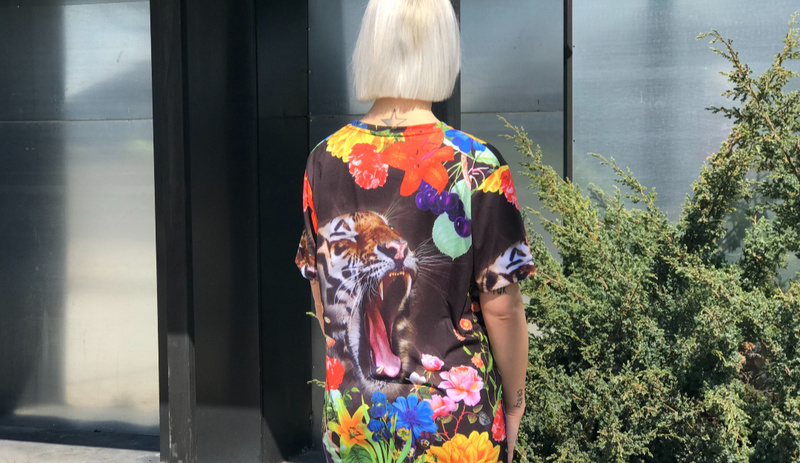 Belonging to a trend that also involves Gucci and Polo to name a couple, it seems that it couldn’t be a better time than now to wear apparel that involves tigers. 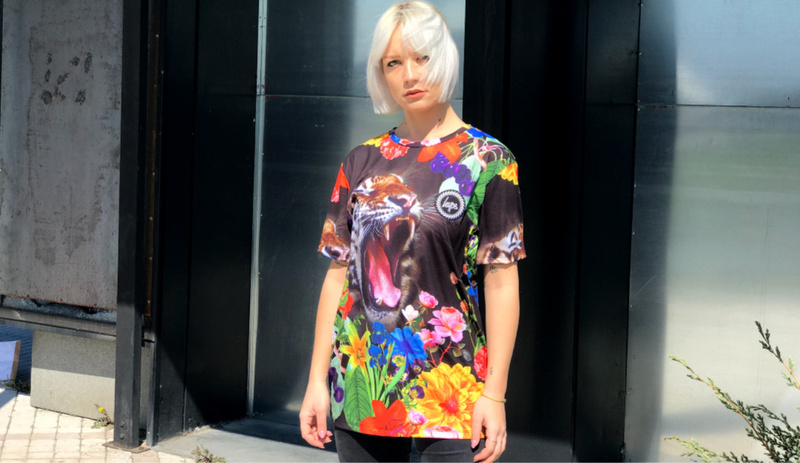 It may be the SOS concerning the end of wildlife animals or the feline aggressiveness that doesn’t lose momentum, but this tee is something that couldn’t miss from your closet. 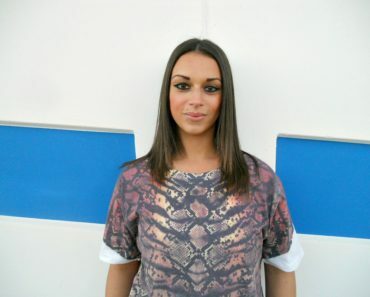 Printed front and back, with the notorious Hype branding with laurels on chest, this item is distributed by Interjeans. 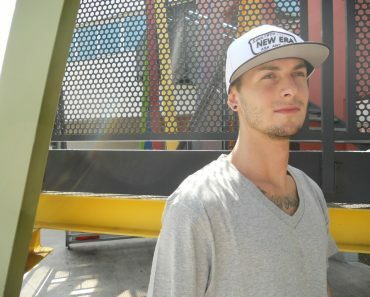 Under this name there is a unit that not only operates with its customers but at the same time created a chain of stores called BeStandard where you can find all its brands. Time to live firsthand such experience, entering the nearest Bestandard store as a lamb and going out as a tiger. Roarr!